Studybay.com is a marketplace where writers are free to bid on student orders and get selected based on their bids. They specialize in writing essays, homework, research papers, coursework and even dissertations. All these for really low prices. However, once you research more there is some controversary information appearing. The internal and external reviews seem to be just the opposite to each other. So, is studybay scam something you should worry about? Let’s find out below in our studybay review. Studybay is not a scam, but we wouldn’t recommend it as it rather reminds us a lottery, than a reliable service. Study bay is a part of a very popular paper bidding industry. This means that once you need an essay and have all the requirements from your professor, you just share them on a platform like studybay. 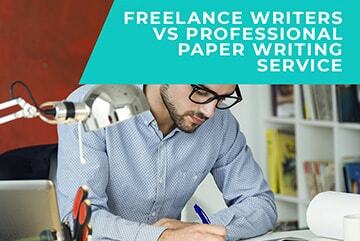 After that there will be many freelance writers who collaborate with the platform responding to your request. In other words, bidding. They will offer their price for the paper you want to order and it’s up to you to find the balance between the cost and their qualifications. You will spend a lot of time of going through the different writers’ profiles. There is a lot of information you must provide at the very beginning. Basically, all info, up to very small details has to be in the initial request. Based on it the writers’ set the price, so you can’t add things later. Most of the students face some disappointments along the way. But that is the inevitable risky part of process. Your first impression about the writer might not be the right one. At least not always. The first thing you notice about Studybay is their ridiculously low prices. They start at 6$ per page but sometimes writers will offer even lower bids. At first glance, it might even seem like Studybay.com has the lowest prices on the market, which sounds tempting.However, an alarming number of Studybay reviews warn other customers about additional charges. It seems at Studybay.com they charge extra as a processing fee at checkout, basically setting the end price of your paper back to the average. On the other hand, experienced users don’t choose a bidding platform for the lowest price. The real benefit the system has is that you can negotiate with high rated writers and make them drop their price. Low quality of papers is probably the main issue with the service. You’ll hardly find an external Studybay review that does not criticize grammar and childish English of finished papers. It seems the majority of writers are not native speakers, and Study Bay couldn’t bother to check their qualifications before hiring.Nevertheless, it’s still possible to stumble upon a good writer when looking for some essay help. Judging by almost every Studybay review from students, it tends to be hit or miss with this company. Once again, the service’s quality is really unpredictable if you are not willing to pay a lot. Their main benefit shouldn’t be low prices as it leads to students’ disappointment with the result. Studybay does have experienced writers but working with them won’t cost you less than on other platforms. Studybay has a money back guarantee and zero plagiarism policies. However, while in most cases getting your refund is not really a problem, it’s different with plagiarism concerns.Almost every Studybay review on plagiarized paper we’ve encountered states the same thing. The writer managed to go around the plagiarism checker by misspelling and putting extra space between words. What’s even worse, you’ll hardly find a negative Studybay review that doesn’t dwell on their refund policies for plagiarized papers. It seems next to impossible to get a refund for a plagiarized paper, and you’re likely to get harassed.Talking about their revision policy. You have the right to get free revisions unless you haven’t downloaded the paper. But, unfortunately, in some cases we encountered studybay reviews describing opposite situations. Some writers simply refused to do the revision and they stayed with their papers unfinished.The company also has issues with customer support. They do have a toll free phone line which doesn’t seem to work. There is also an online chat and email support option. On the other hand, you can be happy that all the correspondence and discussions are between you and the writer. There is no middleman in the process.A huge disadvantage of their service is their attitude towards deadlines. Many customers complained about late deliveries. In addition to that, studybay doesn’t have a fast delivery option. Minimum deadline is 24 hours. As known, with bidding systems you don’t pay upfront to the writer. However, once the writer starts working on your paper the money has to be available on your Study Bay account. 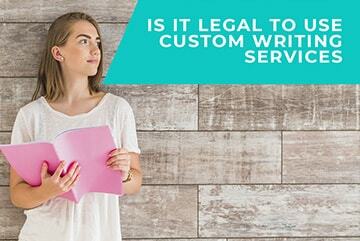 Therefore, you have to transfer the total amount to the company as soon as you made up your mind with the writer. You can do it with a credit card, PayPal or even Webmoney. Cheapest priceCheapest price on the market. Your paper can be ready at a 6 $ per page. Bidding systemBidding system is definitely the main benefit of study bay. You have to possibility to do your own research among the writers who bid to your request. And if you really pay a lot of attention to this process it will definitely affect the quality of your paper. Low quality writersOn the other hand, working with a bidding system is very time-consuming. 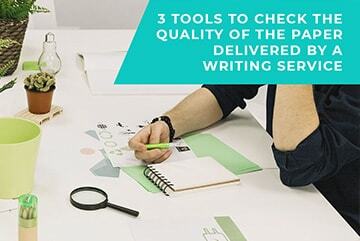 You may have a situation with few hours spent on reviewing writers’ profile. But at the end, the quality still might lack. Even placing your order will require a lot of dedication. There are so many details to fill in and explain about the future essay. You sometimes don’t have this much of time for a college paper. No express deliveryWhile other services offer even 2-3 hours delivery, studybay sticks to 24 hours. Plus, on top of it add the time needed to place and order and select a writer. So, if you have less than 2 days for the essay, this company is not a fit for you. Plagiarized papersIt is the worst thing one can expect from a college paper writer. However, seems like this is what you are going to achieve with their low-cost writers. If you need an A+ essay, help with coursework or any other high-level writing task – stay away from Study Bay. This service has many issues, but their main problem is that they have absolutely no control over their writers. At Studybay.com you have no guarantees of quality, originality or timely delivery of your paper – it all depends solely on your writer.